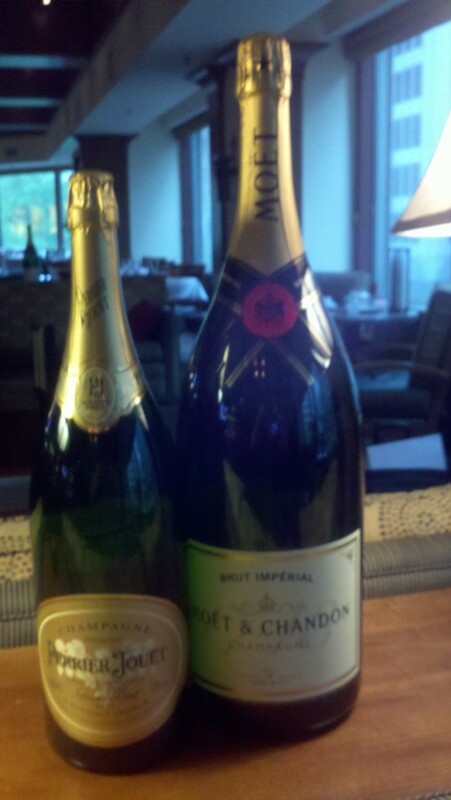 Whenever there is a happy celebration of any kind, we often say "Bring out the champagne!" We don't say "Bring out the beer!" now, do we? Although some men might differ, of course. We don't say "Bring out the vodka!" either - unless one lives in Russia then one says "Ya lublu tebya" , or something like that. We also don't say "Bring out the margaritas!" either. Although my girl friends and I have said that more often than I would like to recall. My point is champagne seems to be synonymous to festivities. Think 'champagne' .. go on.. what is the first thing that comes to mind? Festivities! Yes, indeed. Champagne is the most festive wine in the world. No other wine is so associated with joy and gaiety as is champagne. This sparkling wine has toasted millions of weddings, launched thousands of ships and attended gazillions of parties. Someone just got a big promotion. Bring out the champagne! Someone just got engaged. Bring out the champagne! Someone just got a huge lucrative account. Bring out the champagne! Someone won the lottery. Bring out the champagne! It's almost midnight (New Year's Eve). Bring out the champagne! It's not just that this bubbly seem to tease our lips and tickle our noses. It is the cork popping that brings everyone to stand up and applaud. It builds momentum as soon as the champagne bottle is brought out. First, the taking of the foil off covering the cork. Followed by the untwisting of the thin wire that's preventing the cork from popping out prematurely. And then the careful and so-very-gently untwisting of the cork. Everyone is fixated on every little move of the the person opening the champagne. Everyone seems to be holding their breath in great anticipation of the popping of the cork. And when it pops, POP! Everyone cheers and the celebration begins. Everyone holds out their champagne glasses. The host starts pouring the champagne and every time it spills over, everyone says "Awww!" and giggle. But isn't that such a waste of champagne? Nobody cares. It's a celebration, for crying out loud. Who cares about a little spill-over? 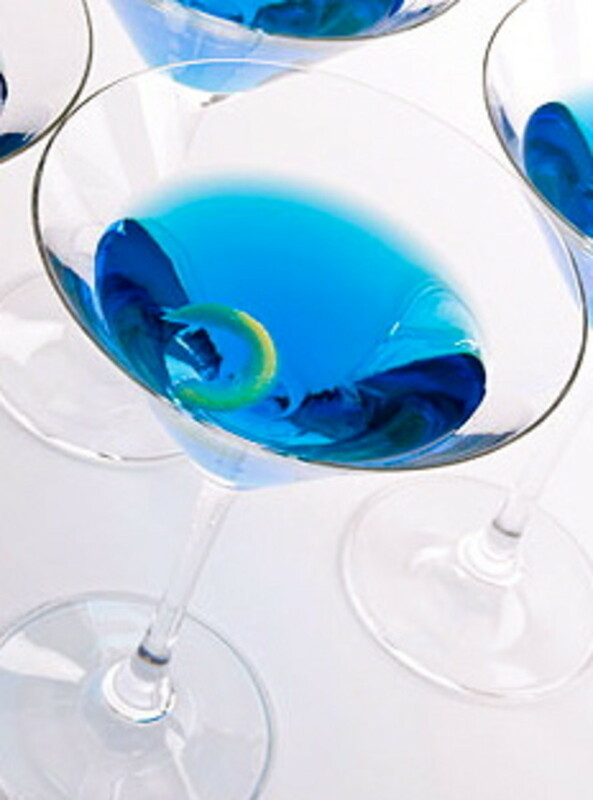 Everyone's glasses is filled, but nobody dares to take a sip before a toast. That's simply inappropriate behavior. All glasses filled. 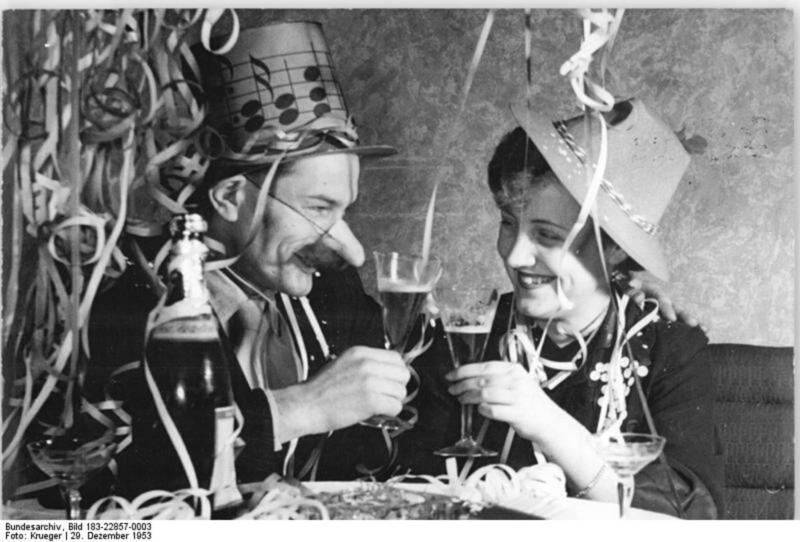 Then hold up your glasses and let's toast the coming year! Make Sure the Champagne is Cold - Start off by chilling the bottle. The best serving temperature is around 45° Fahrenheit, that would be about 7° Celsius. If you put your hand on the bottle it should feel very cold not just cool. Loosen the Wire Cage - loosened the wire cage that surrounds the cork. Use a Towel - With the bottle upright, drape the towel over the top of the bottle. With the towel there, even if the cork does pop out, it will be caught in the towel. Grip the cork - support the neck of the bottle and grip the cork with your palm and fingers and rest your thumb on the cork... just as insurance. 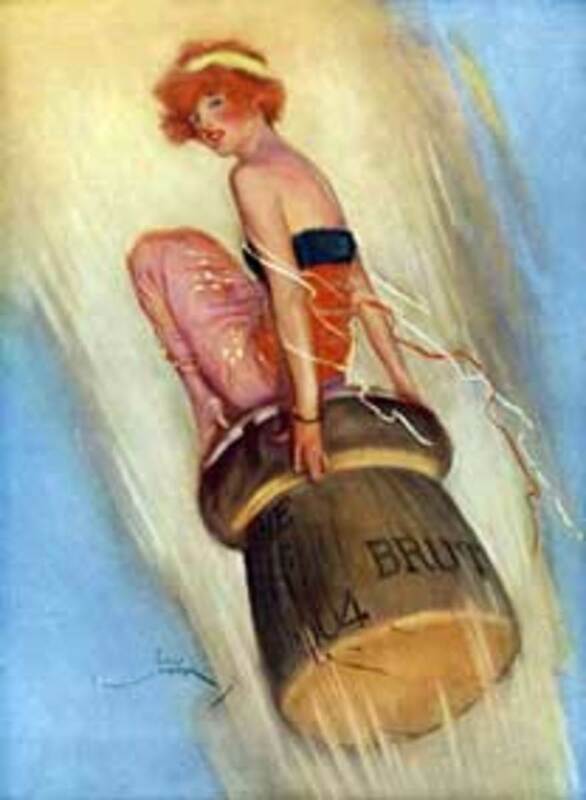 You'll hold on tight to the cork until it is completely removed from the bottle of champagne. Turn the Champagne Bottle - Now, with your free hand get a good grip on the fat part of the bottle. 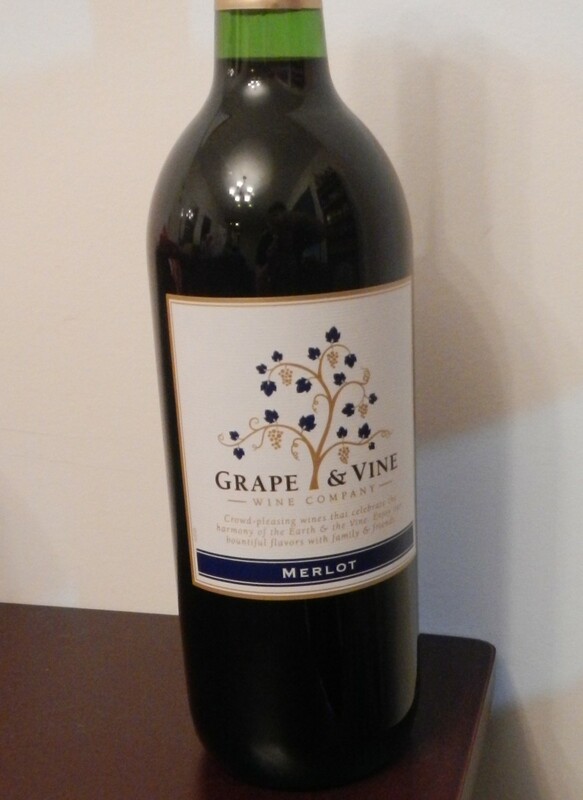 Slowly turn the bottle while you hold onto the cork. Just gently... turn the bottle of sparkling wine or champagne until you hear a little "pop". This method doesn't make that loud noise that people associate with champagne on New Year's Eve. If you want a loud POP, don't use a towel to cover the cork, and gently untwist the cork until it goes POP! Champagne must be served ice cold. Champagne flutes preserve the bubbles. Champagne should always be served ice cold in chilled drinking glasses. Maintain the ice cold champagne by placing it in a bucket of ice and water before and after opening. 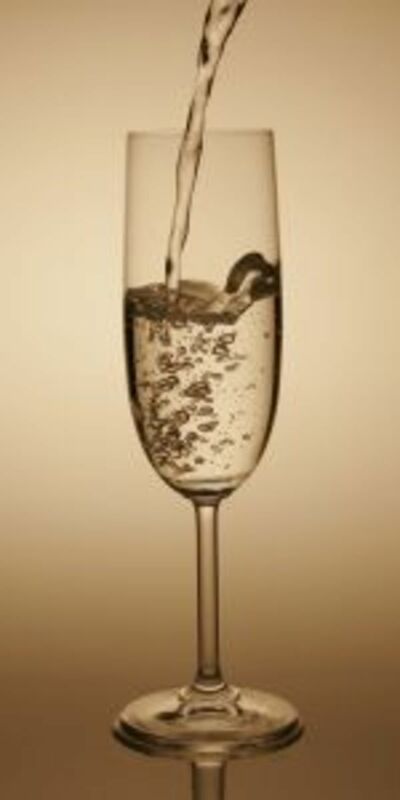 The ice cold champagne should then be served in an appropriate glass called a champagne flute which is tall and narrow. 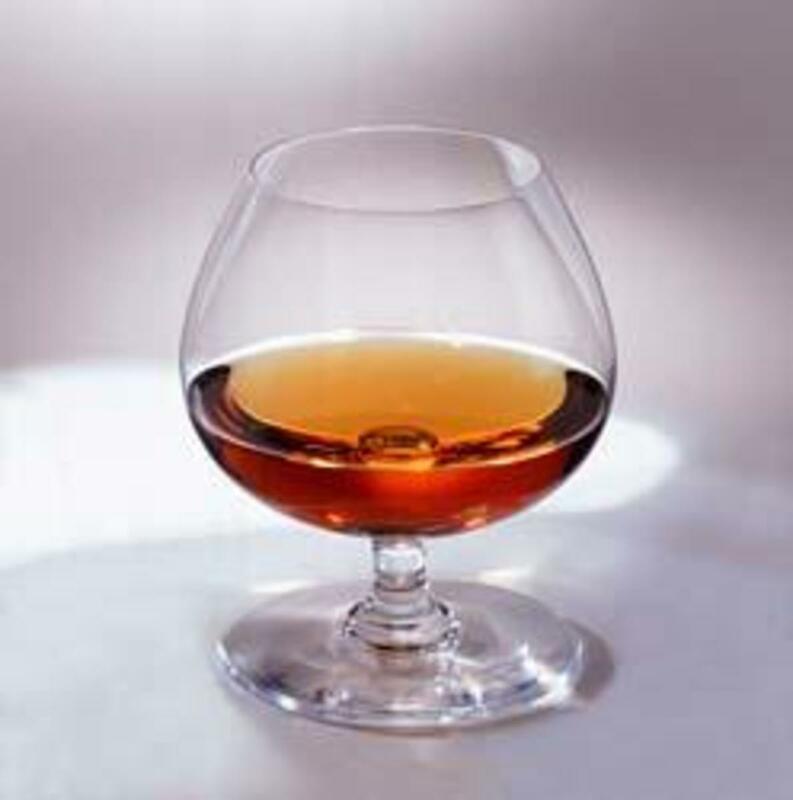 Champagne used to be served in the flatter and wider saucer shaped champagne glass. This has gone out of fashion because the wide glasses did not preserve the bubbles as well as the flutes. Glasses should not be overfilled with champagne. The flutes should be filled only to 2/3 of the glass. First of all, we don't drink champagne. We sip champagne. 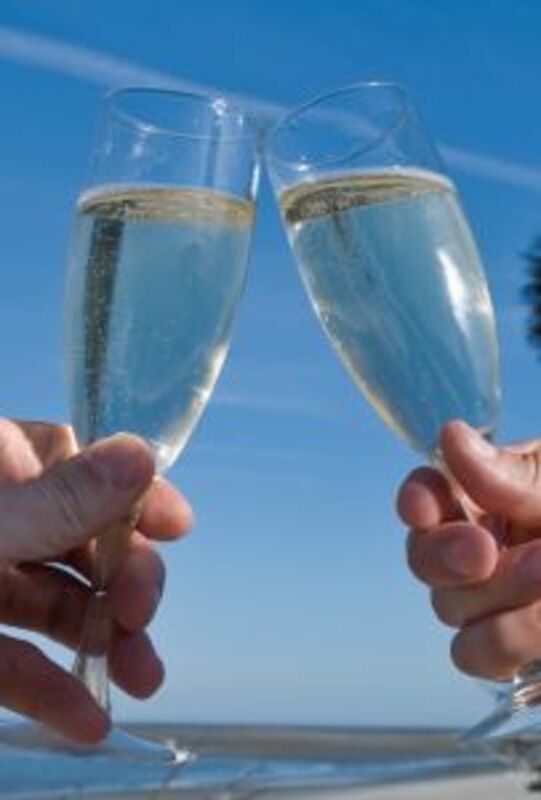 The champagne glass has a long stem which should be used, to avoid warming the contents of the glass with you hands. Sipping champagne is often used as a description of elegance and class. 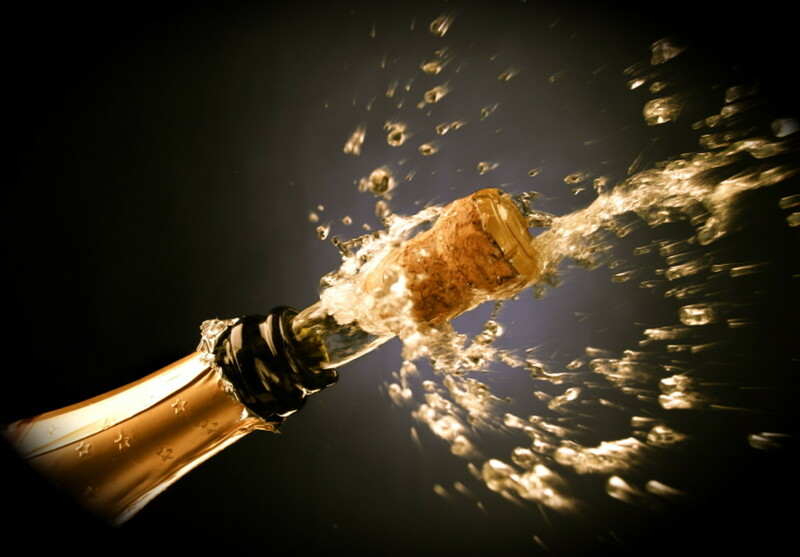 Champagne is an elegant drink and should be sipped slowly, savored and enjoyed fully. 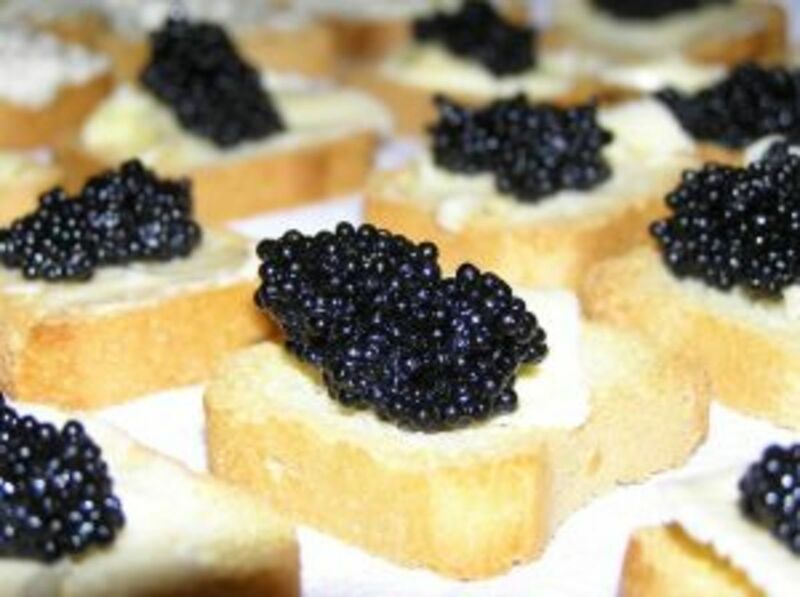 Many people enjoy the popular combination of champagne and strawberries and champagne and caviar. 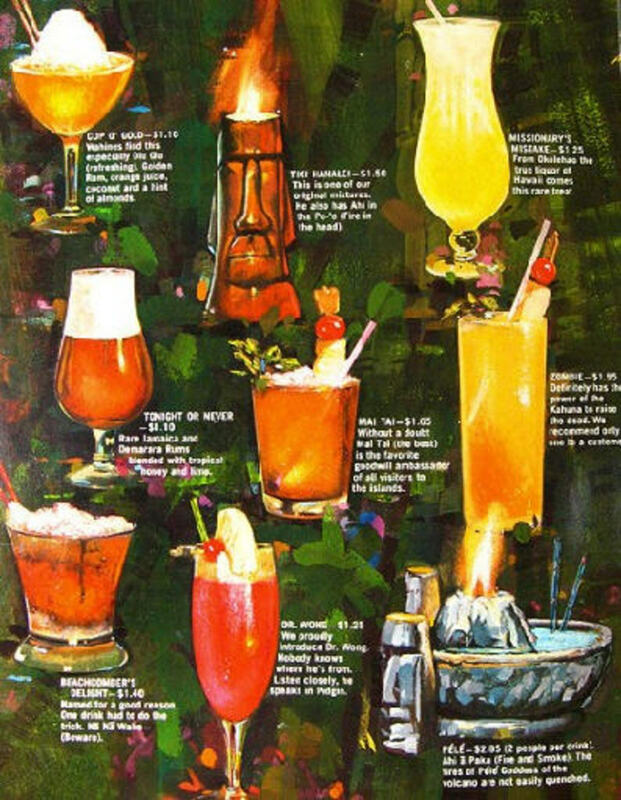 But Champagne is a drink which can be paired with a great variety of foods. 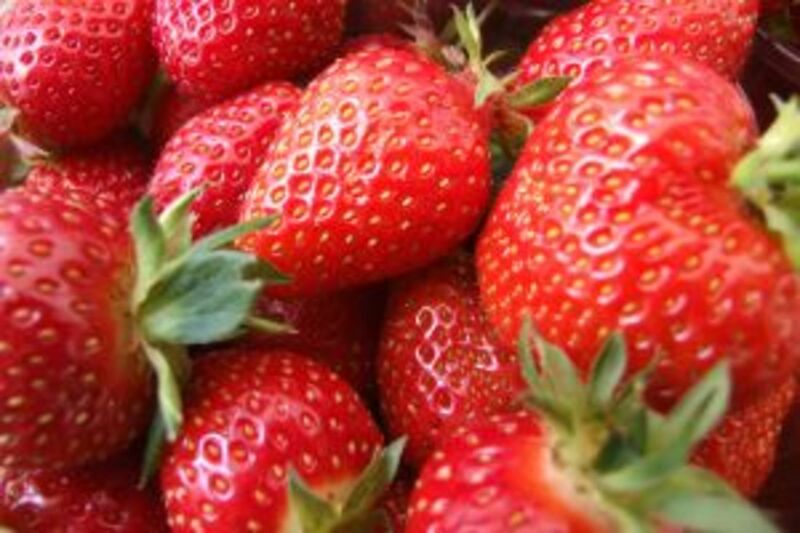 Strawberries are a fruit that are very popular with champagne, but many others can be enjoyed. A few ideas include apples and pears. Other fruits that also go well with champagne are apricots, blueberries and melons. 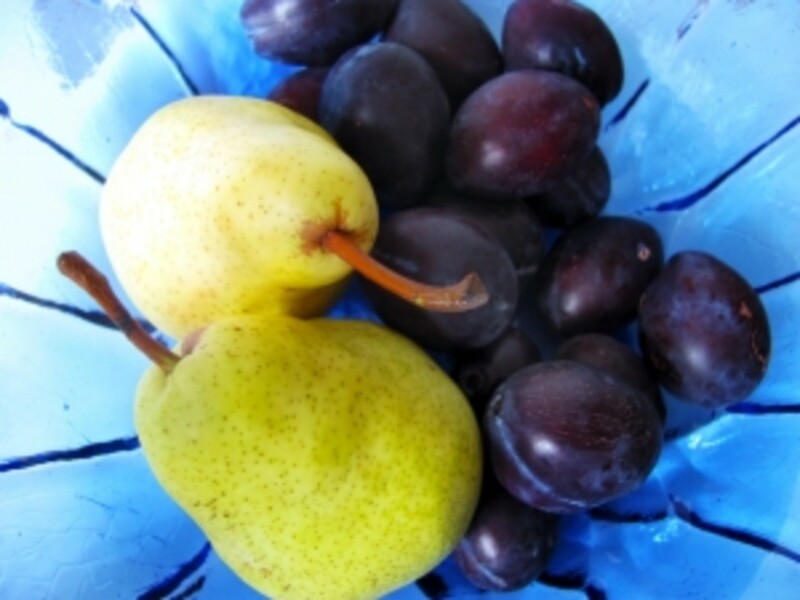 The fruits which seem to pair best with champagne are fruits that aren't overly sweet. Cheese is excellent with champagne. 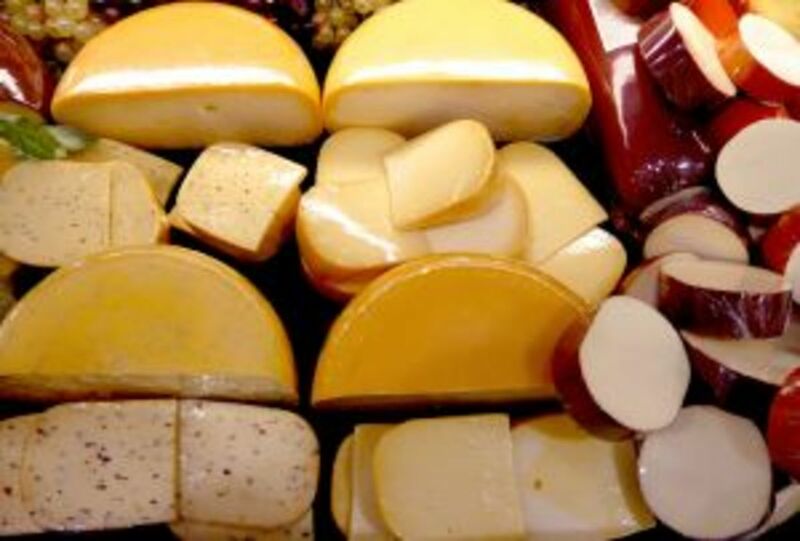 French cheeses such as Brie and Camembert are ideal, but there are so many more. Another excellent French cheese that can be enjoyed with champagne is Port Salut. For those who enjoy blue cheese, the flavour and texture are enhanced by a glass of champagne. Other great cheeses for champagne are goat cheeses. 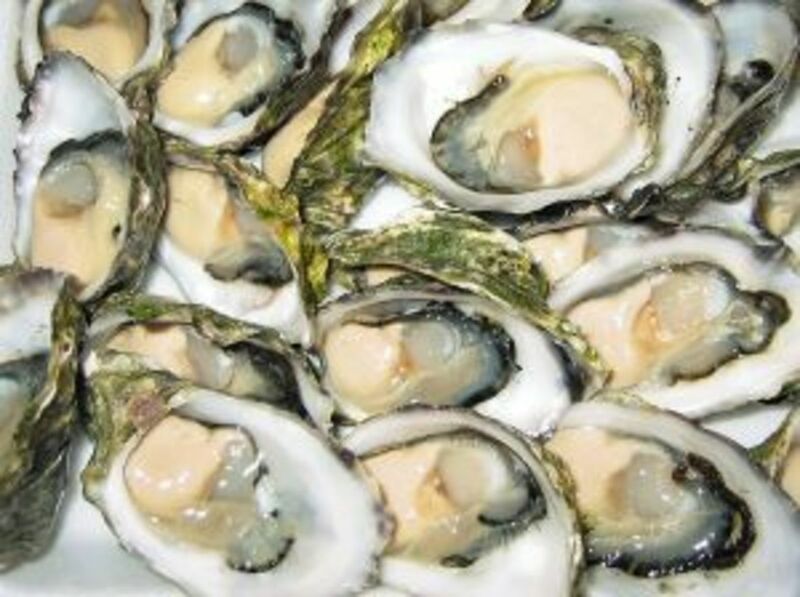 Seafood is also ideal for champagne. A smoked salmon is amazing, but other ideas include smoked trout, red snapper, sea bass, clams, oysters, fish pate and caviar. These salty dishes combine wonderfully with a good champagne. Pasta also works very well with champagne. A creamy pasta such as spaghetti alla carbonara or pasta alfredo is fantastic. Other ones to consider are pastas with shrimp or clams. These are wonderful because they combine the flavours of seafood and pasta with a refreshing champagne. Egg-based dishes tend to be dry and salty, perfect for champagne. 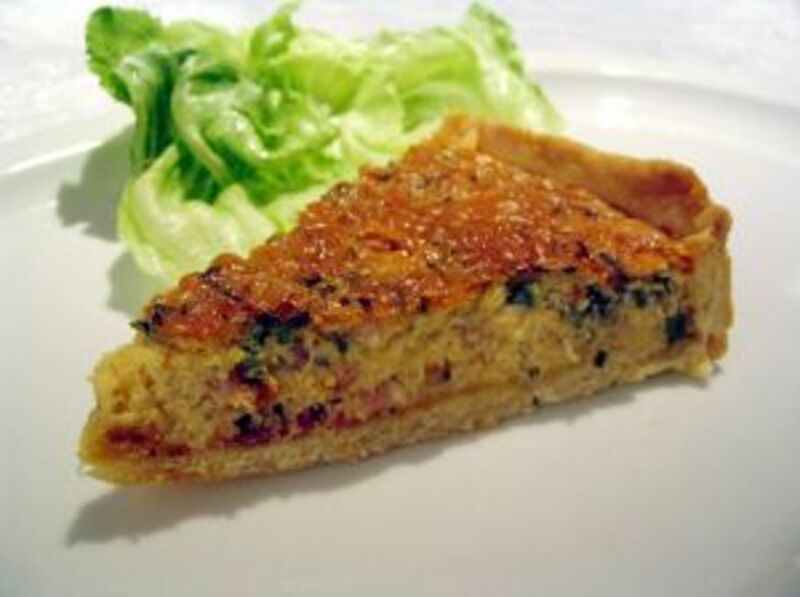 Some of the best egg-based dishes are French ones such as quiche and souffle. If they include lots of cheese and bacon along with vegetables such as onions, leeks and potatoes, a glass of champagne will accompany them very well. 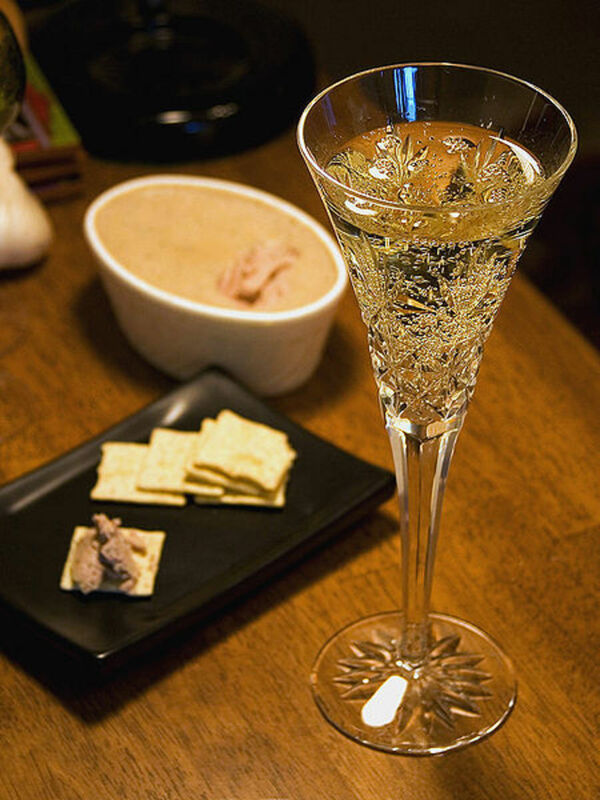 Other dishes that are excellent for champagne are salty ones. 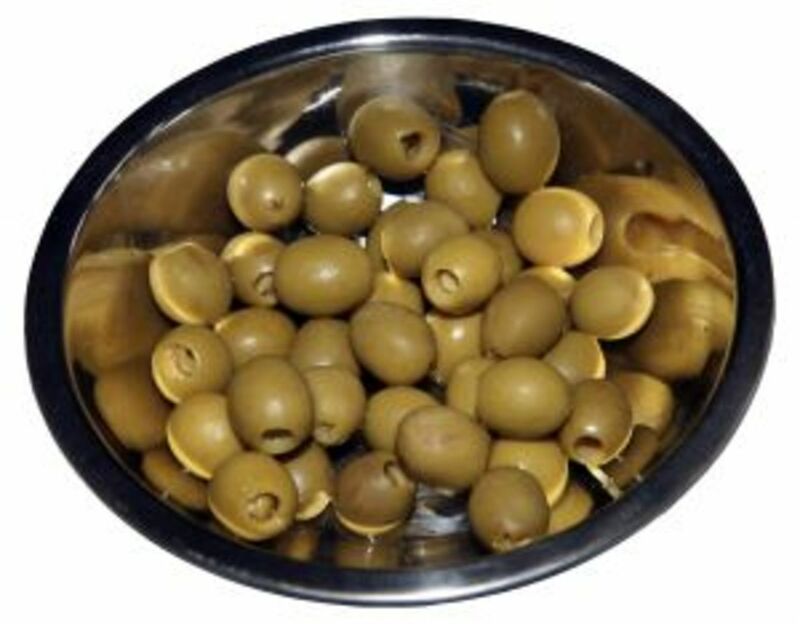 Examples of salty foods include salt cold, baked chicken, olives and foie gras, also known as liver pate. 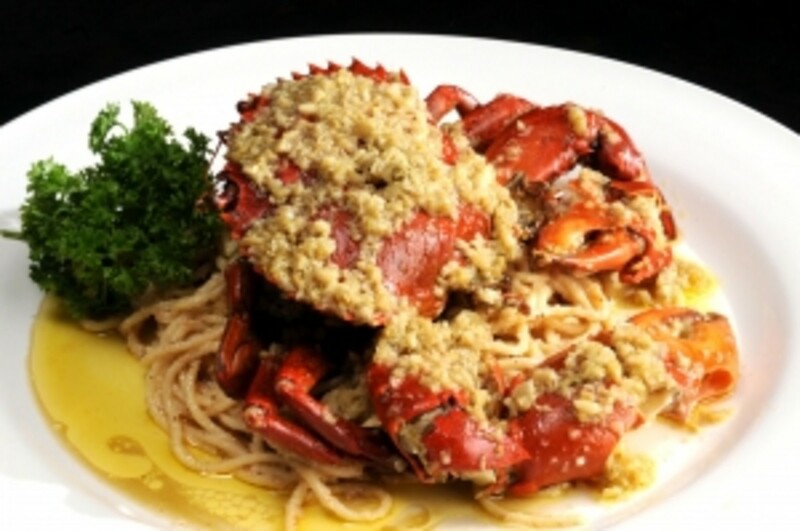 Many salty seafood and vegetable dishes can be included in a list of salty foods. 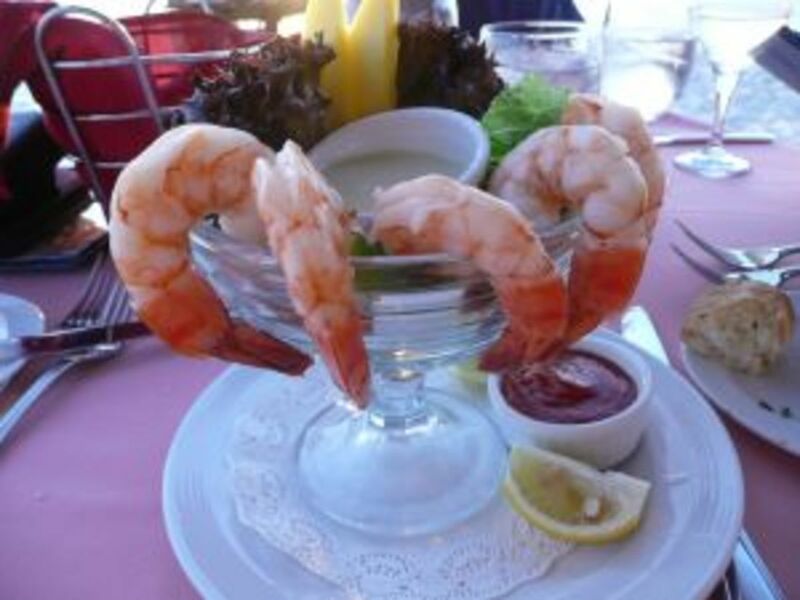 The saltiness of these foods makes the diner thirsty and especially appreciative of a fine glass of exquisite champagne. While sipping champagne is a very enjoyable experience, it should be done in moderation. Too much of the bubbly can give you horrible headache in the morning. And please, don't drink and drive. That said, have a bubbly time! Hiya JD, thanks for dropping by. I'm glad you found my bubbly hub informative. Thank you so much. Congrats for getting your first accolade! Yay! Hiya Susan, thanks for dropping by. I'm glad you enjoyed reading my bubbly hub. Hiya Will, thanks for dropping by. Enjoy your bubbly on Friday. I'm glad you enjoyed reading my hub. Hey Rosie: You are such an entertaining writer. Your hubs are always well presented. Great Job and Happy New Year! A great hub! Very informative, now I won't take my eye out during New Years! Happy New Year Sugar!! Un...can I just have a sprite instead? 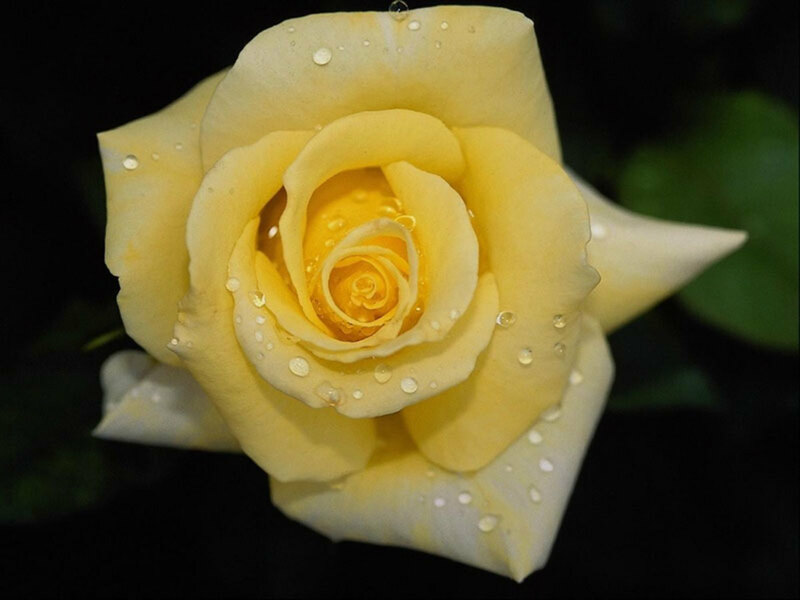 Hi Rosie very nice Hub! Happy New Year To You! I have one glass of champagne a year, and it's coming up Friday night! Great article you do a fabulous job! I don't drink especially the bubbly because it gives me a killer headache but you write so well that I enjoy the read on a topic I usually wouldn't be interested in. 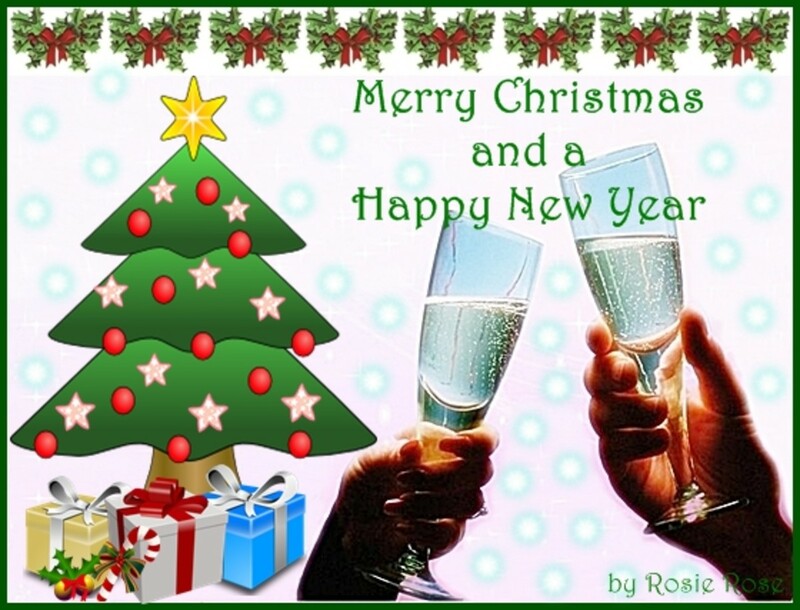 Rosie2010, what great advice on how to open a champagne bottle, what to serve to eat, the video, books and information is very nicely presented. I don't drink but I use to. I personally don't like it but I love how this is properly posted. Have a Great New Years in 2011.